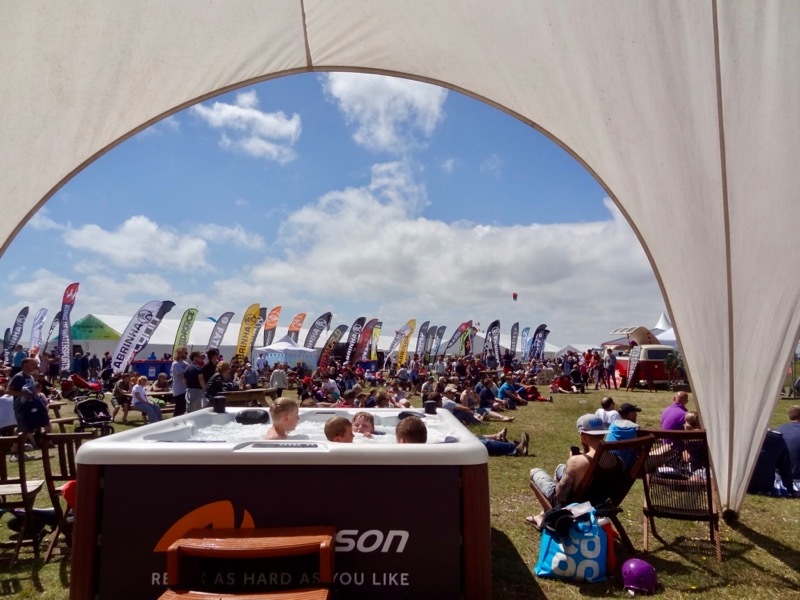 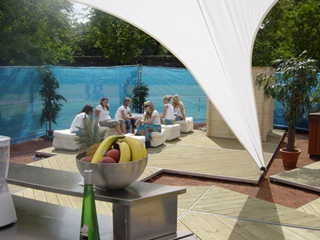 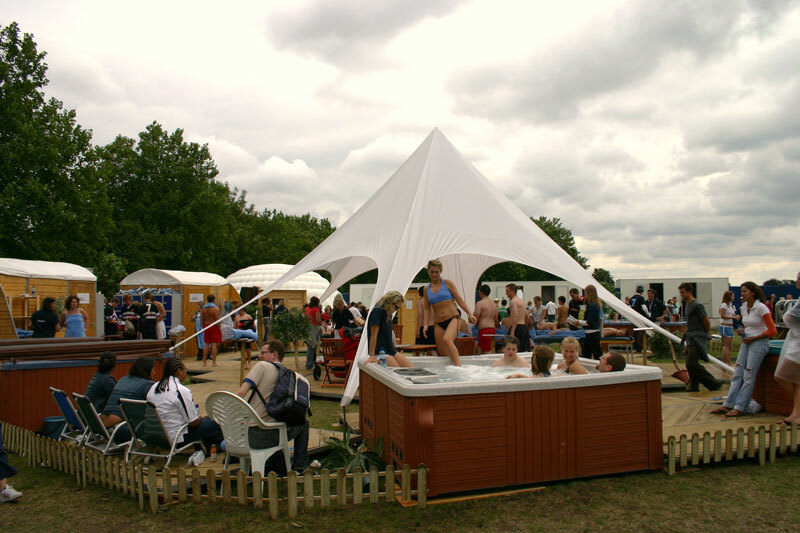 The backgarden "Spa for a Day"
Welcome to the luxurious world of Splash and Tickle, the first ever dedicated mobile Health Spa for use at events, both indoor and outdoor, large and small. 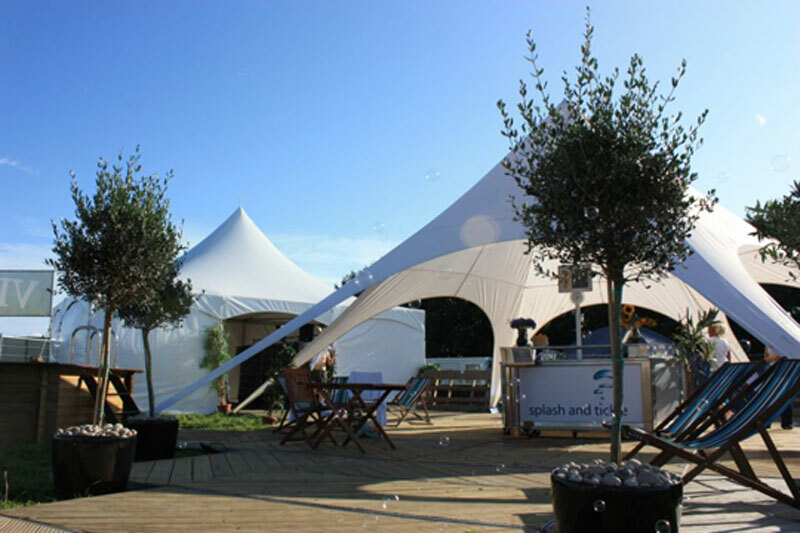 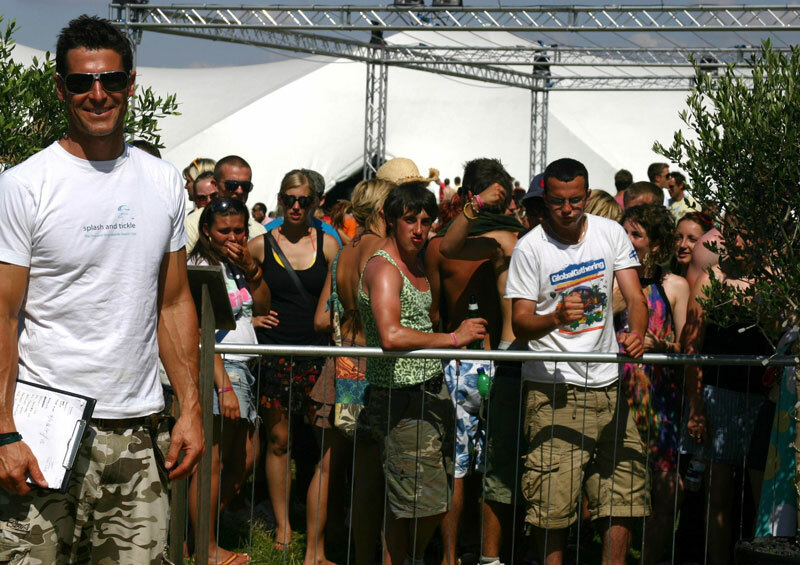 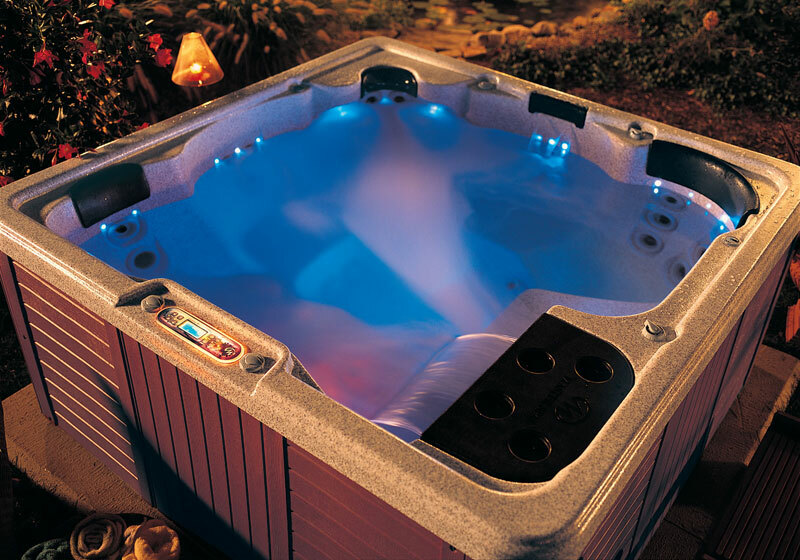 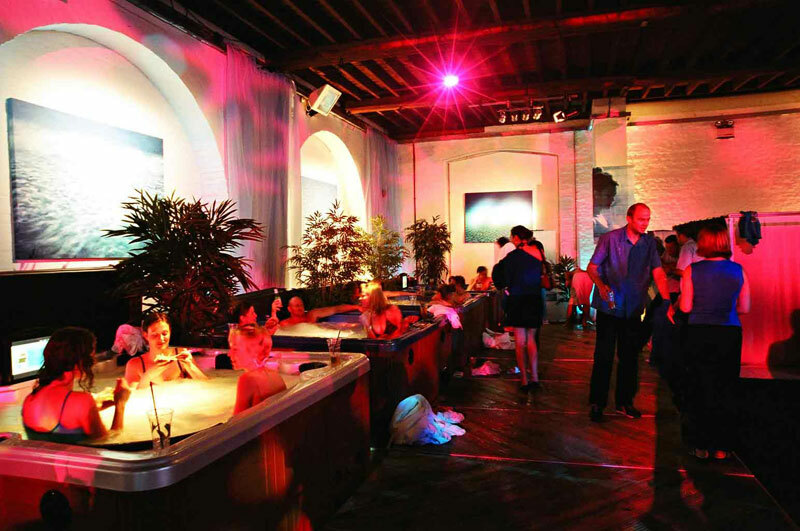 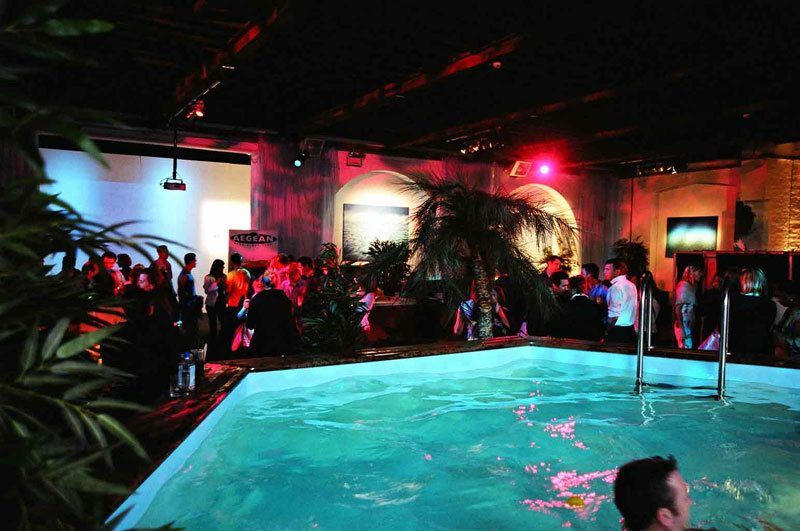 Splash and Tickle is the ultimate in mobile indulgence; a fully movable health spa system for your event. 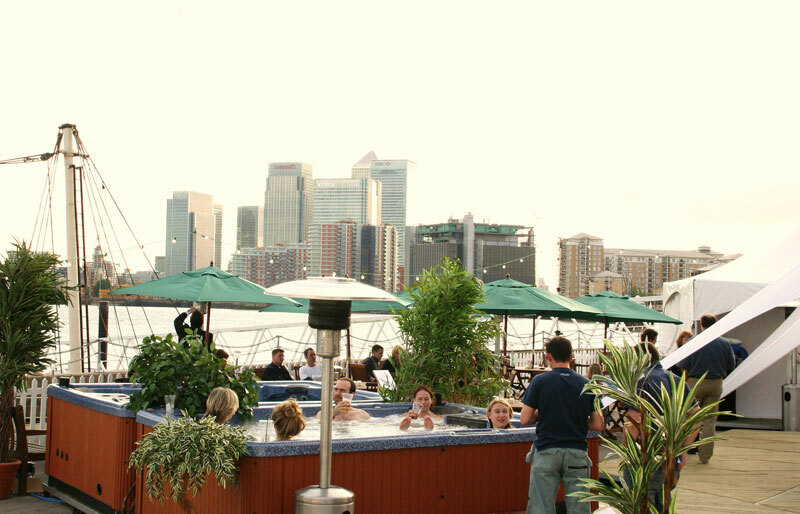 Whether you want to relax in one of our luxurious hot tubs or pamper yourself silly with one of our therapists’ expert treatments. 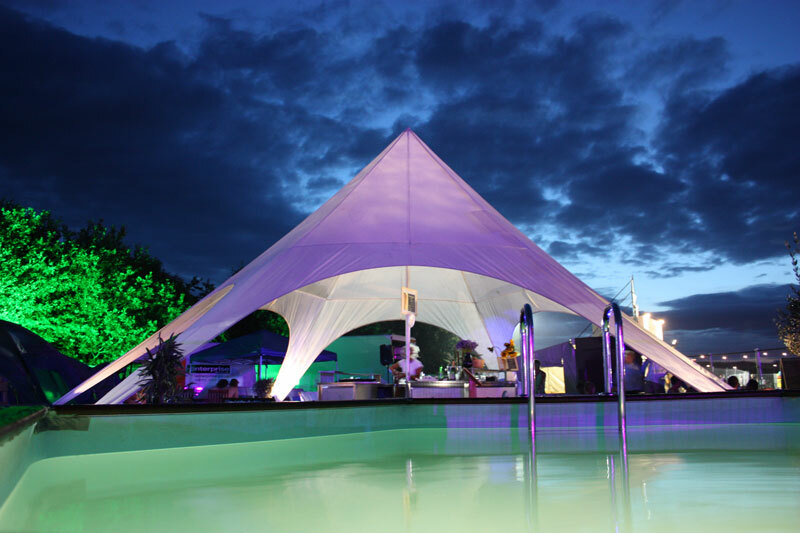 Our service is fully bespoke; from the back garden to backstage; indoor or outdoor we’ve got it covered. 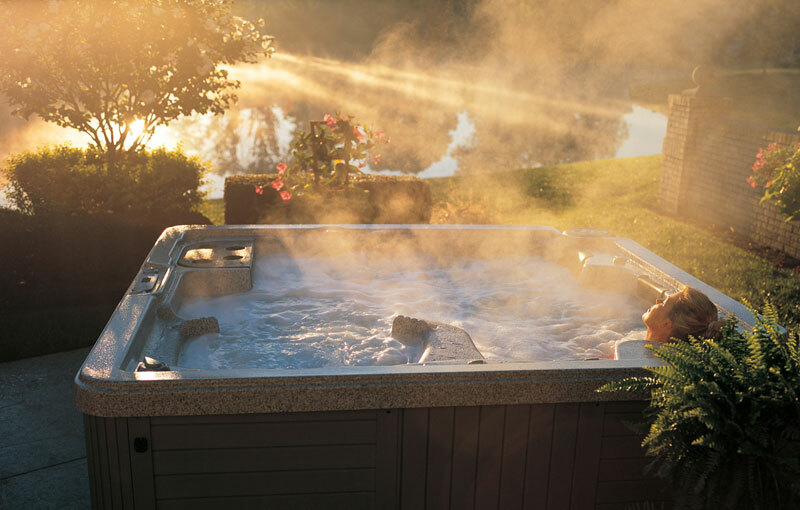 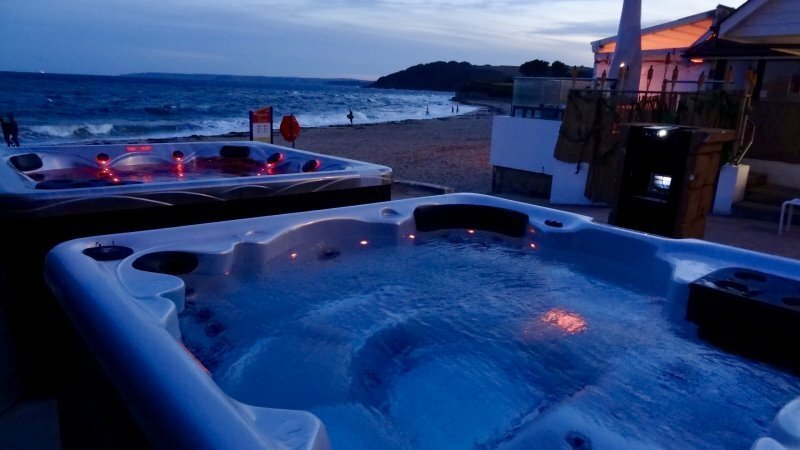 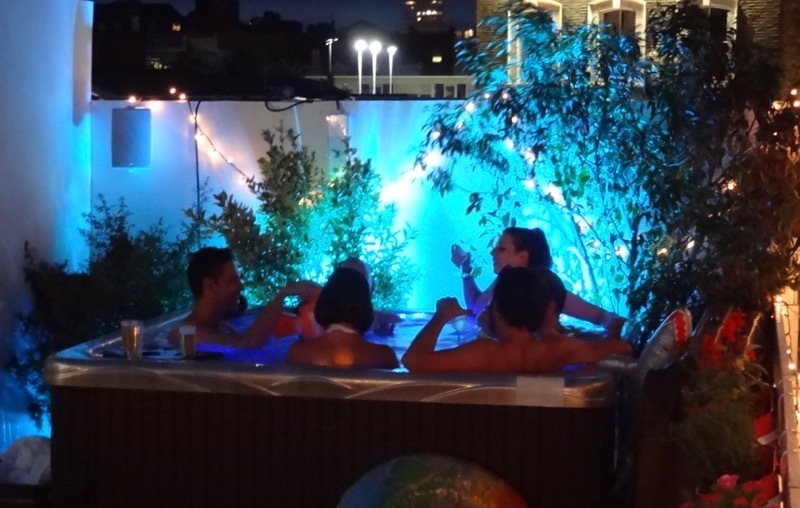 Comprising a selection of modular spa units including hot tubs, sauna, steam pods, plunge pools, foot spas, mobile swimming pool and changing facilities, Splash and Tickle really is an innovation of outlandish proportions. 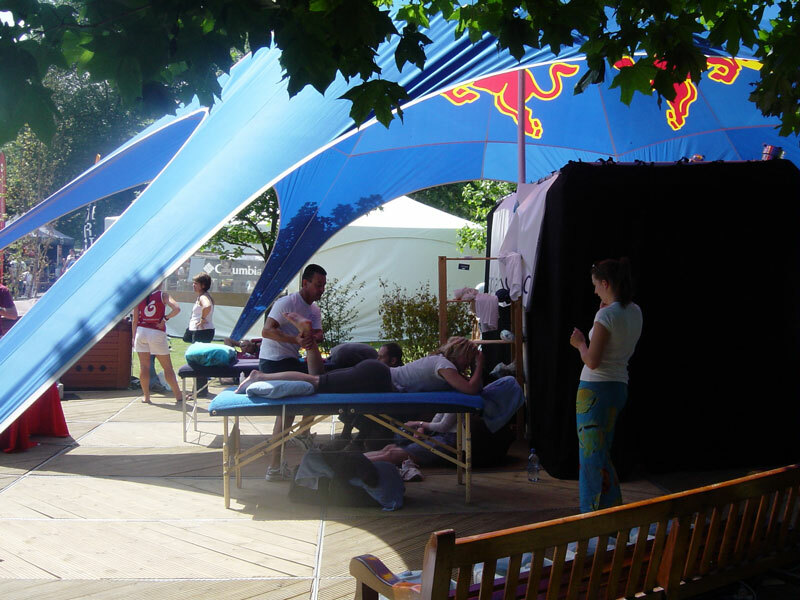 The set up also features a full complementary therapy suite, offering treatments including massage (on site, sports, shiatsu and Swedish), acupuncture, reiki, aroma-acupressure and physiotherapy, all delivered by expert practitioners. 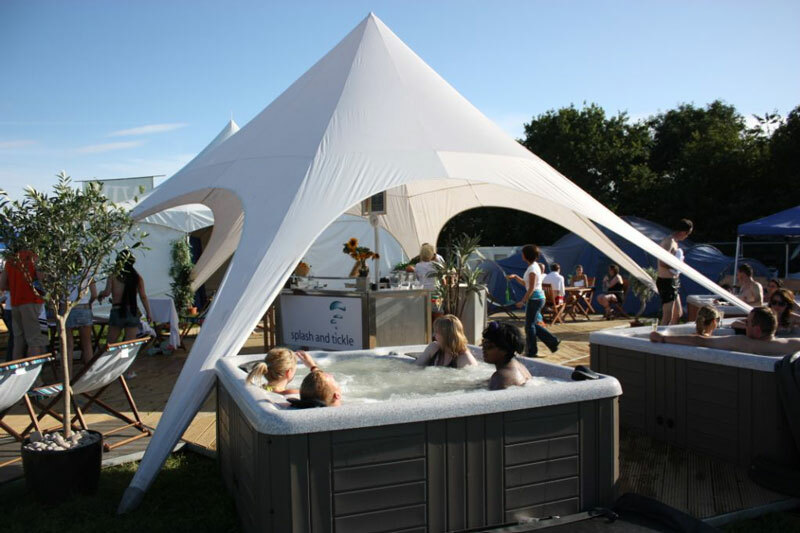 Accredited beauty therapists join in completing the options within this divine mobile holistic experience. 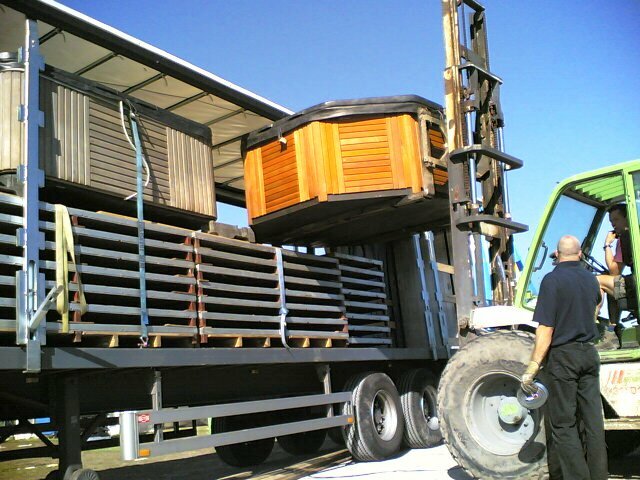 Road trip to deepest rural Belgium for a meeting about project W! 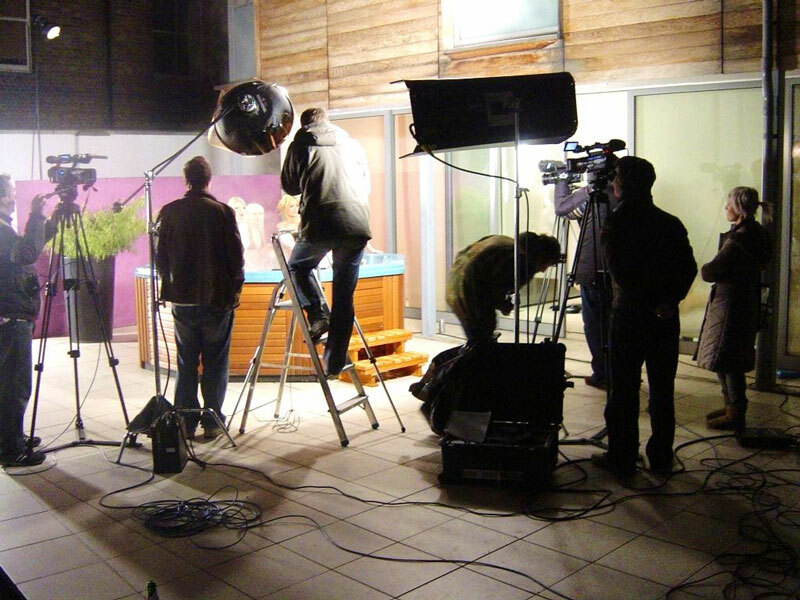 £££ hundreds saved on crane hire! 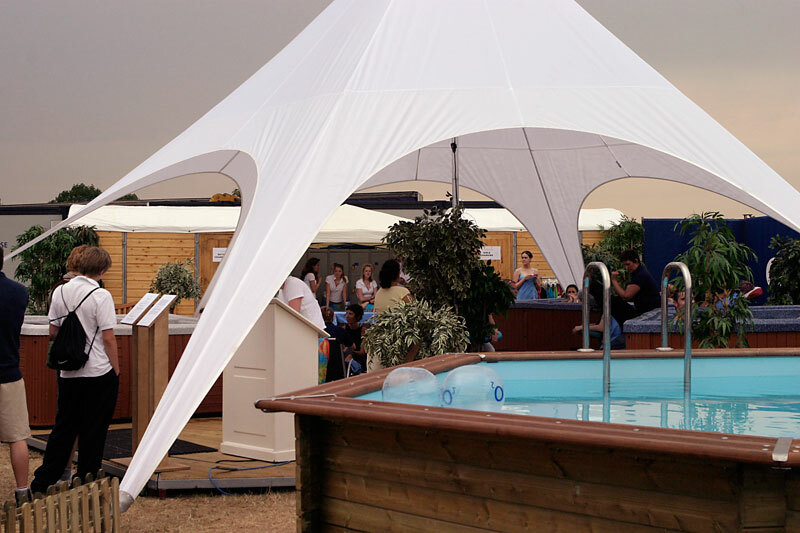 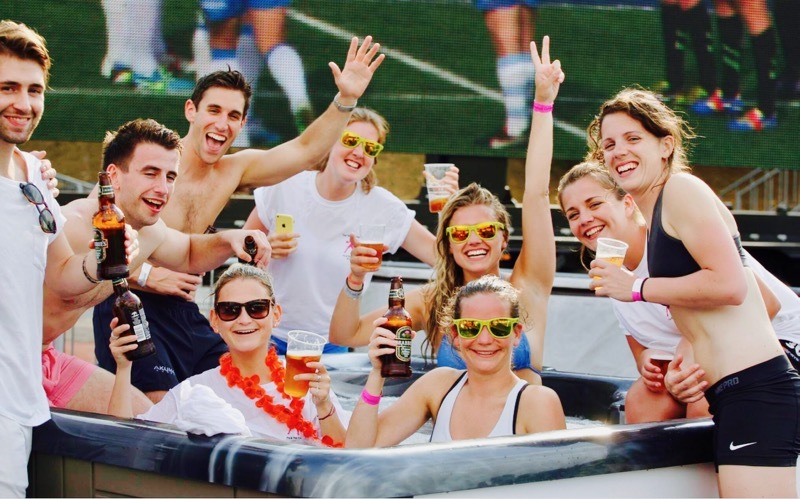 "...the most important thing is that our client Grolsch was very happy with the festival and the SPA...!"